This is the story of Louis, as told in his own words, of his journey through mortal and immortal life. He recounts becoming a vampire at the hands of the radiant and sinister Lestat and how he became indoctrinated, unwillingly, into the vampire way of life. His story ebbs and flows through the streets of New Orleans, defining crucial moments such as his discovery of the exquisite lost young child Claudia, wanting not to hurt but to comfort her with the last breaths of humanity he has inside. Yet, he makes Claudia a vampire, trapping her womanly passion, will, and intelligence inside the body of a small child. Louis and Claudia form a seemingly unbreakable alliance and even "settle down" for a while in the opulent French Quarter. Louis remembers Claudia's struggle to understand herself and the hatred they both have for Lestat that sends them halfway across the world to seek others of their kind. Louis and Claudia are desperate to find somewhere they belong, to find others who understand, and someone who knows what and why they are. Expectations: I have not seen the movie, but it seems like this story is ingrained in our pop culture. 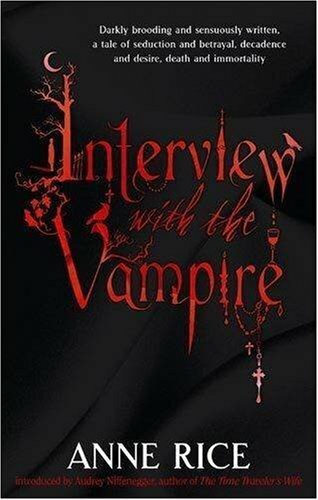 I was not familiar with anything about it really, but I knew it was a new take on the vampire lore (at the time) and Lestat seems to be popular so I was looking forward to seeing what he was all about. I have mixed feelings about this book. I appreciate the set up of a new take on vampires and the intricacies of crafting a dark, almost depressing story of a sensitive newly made vampire, but I also wanted Louis to stop whining and take a stand already. But I know that I have very little patience for weak main characters. And it was surprising to find that all of the vampire characters were pretty much unlikable, but maybe that is only because we see them through Louis' eyes, and he is not inclined to see the good or interesting in vampires. I was also surprised by the meandering path the story took. It's not plot-driven, except perhaps in a few spots, so it reads very realistically as a memoir of a vampire. It's heavily atmospheric, and does draw you in but Louis' apathy in most things really grated on my nerves, and in the end I wasn't sure what the takeaway point of the story was. Would Louis feel better if his story was understood as he understood it? Is being a vampire really that bad? Perhaps I need to read the rest of the novels in the series to understand where Anne Rice was taking this story. This isn't book related, but podcasts do compete for my audiobook listening time. I so enjoy listening to podcasts because they are short, funny, usually light listening which keeps me entertained for that commute to and from work. And many times during work as well. There are so many podcasts out there for every topic that it can be overwhelming trying to find something you would like to listen to, but for the most part they are all free and how can anyone turn down free quality entertainment? So many professional artists (comedians, magicians, writers, etc) are podcasting, and it is fun to hear about their lives from their viewpoints. And it is great to be able to support a medium where any benefits the podcasts reap from their shows (from doing advertisements for products they believe in) goes directly to them, and not 'we-need-to-profit-from-everything' corporations. And also the podcasters get to control all of their own content. So, for this post, I just wanted to highlight my five favorite podcasts. I should say first that there are SO MANY that I haven't heard, and this is not a five of the bestest podcasts list, but just some that I really enjoy, and maybe for anyone who hasn't tried listening to podcasts, this would give some idea on which ones are really entertaining. I think I enjoy podcasts by comedians the best, especially when they are just riffing and joking amongst each other, but they can also give some interesting insight into the human condition, because observing the world is something comedians are really good at doing. 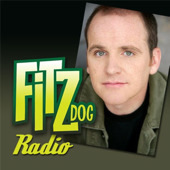 My first podcast, because they had an interview with current Doctor on Doctor Who, Matt Smith. I enjoyed the joking and loose conversational style of the "interview" and continued downloading episodes where they talked to other actors I was interested in. Eventually it starts to feel like you are listening to a conversation among your close friends, and really hilarious friends at that. 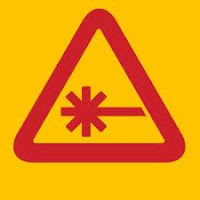 Chris, Jonah and Matt have a great group chemistry, and their "hostful" episodes with no guests, where they just talk about what is going on in their lives, are so entertainingly funny and silly, that I look forward to them more than the guest podcasts. The podcast has such a positive energy that is fueled by their humor, and interest in people, and by their genuine wish to see that people live life to the fullest and to truly "enjoy their burrito." 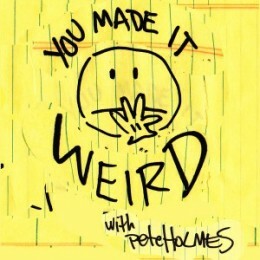 Pete Holmes is my favorite comedian. His material is silly and observational and served up with manic energy and charm. His podcast lets him talk with his fellow comedians about three usual topics: comedy, relationships, and religion, while also trying to make it weird and awkward whenever possible. In an hilarious way. I think his enthusiasm and totally accepting attitude over different viewpoints on religion specifically is refreshing and makes for a great forum for sharing of interesting thoughts and ideas. His conversations are always brimming over with joy - from his outbursts of laughter to the delight he takes in people making it weird (and keeping it crispy) - so that this podcast is always a pick-me-up at the end of a long day at work. A movie game podcast with comedians, for the first 20 minutes or so the comedian guests usually sit around and talk and riff about themselves, about movies or anything that comes up. Then they play Build-A-Title (linking names of movies together) and the Leonard Maltin Game (too complicated to explain- listen to the show). All parts of the show are fun (did I mention how much I love listening to comedians banter?) with the bonus of trying to be able to play along with the game in the comfort of your car. (I'm not very good at it) You do wonder how people can remember so much about movies though! Doug most always tapes with a live audience, so you can hear how fun it is to see the show live. Going to one of the tapings is a goal of mine! One of the few podcasts I listen to where the host can spend most of the hour just talking by himself, and I am still riveted and entertained. Greg does a few podcasts talking about what is going on with his life - but always with a humorous spin - but mostly he has interviews with guests in the business. He can be snarky and insulting but you always feel that he is a nice guy and a great person to hang around with. The little games he plays with his guests are highlights for me - especially 'Talk Your Way Out of It' (you can watch video versions of this game on his website) where you talk your way out of awkward situations, and the newest game 'This Is What Your Talking About' where you talk for a minute on a randomly given topic. Most of the podcasters are variety performers as well as comedians and between them they know juggling, fire eating, knife throwing and martial arts. 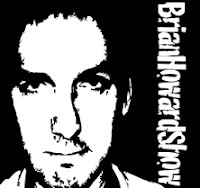 I've seen Brian Howard perform live as Broon at the Renaissance Faire and have thoroughly enjoyed his shows along with the ones he performs with "Moonie". So that led me to listen to his podcasts where the format is more like a traditional radio talk show, but with no censorship (thank goodness). The group talk about such a variety of topics, that you never know what is coming up, but that is the charm of the show. Everyone seems to have an opinion on something so in depth discussions are the norm. The show is often silly though, and Brian presides over his fellow hosts like an angry father, at times affectionate, understanding, or chastising. The guests are usually of the variety performing crowd, which makes the podcast an interesting window into the realities of this kind of work. 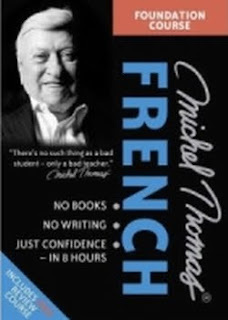 The Michel Thomas Method works by breaking a language down into its component parts, enabling you to reconstruct a language for yourself – to form your own sentences, to say what you want, when you want. Because you learn the language in small steps, you can build it up yourself to produce ever more complicated sentences. Michel Thomas teaches you through your own language, so there's no stress, and no anxiety. He builds it up, step by step, and you don't move on until you've absorbed and understood the previous point. And, as Michel Thomas said, 'What you understand, you know; and what you know, you don't forget.' With parallels to the way you learnt your own language, each language is learnt in 'real-time' conditions. There is no need to stop for homework, additional exercises or vocabulary memorisation. I've been interested in learning French for awhile now - I've picked up the odd book here and there, and the odd audio course - but I haven't found anything that really helped me, first of all because I'm quite astonishingly lazy, and one needs to actually keep up with a course daily, and secondly because most of the methods I've come across really encourage straight memorization. Which could possibly work quite well, if you really dedicated the time. So with the Michel Thomas method, although I heard great things about it, the claim that you would not need to do homework or additional exercises sounded like it might be too good to be true. Bottom line right up top: I was extremely happy with this course. The recommended breakdown is you listen to the 8-hour Foundation course, followed by the 2 hour Advanced course, and there is another course in between - Language Builder (which I haven't had a chance to buy yet) and then you follow that up with the 2 hour Vocabulary Builder course. However these course breakdowns are outdated, because on the official Michel Thomas websites, they have repackaged the courses with different titles, same content I believe but different names. The option I went with was buying the old courses used online (Amazon, ebay etc). Listening to about an hour of the course a day, I felt that my understanding of the basics of French was way more than what I gained from the previous courses. (Although I really don't know how much my previous knowledge of French helped me). Understanding how to use the language - basically grammar - is stressed in the Michel Thomas courses, which I feel gave me a better foundation (as they say) to build up my understanding of the language. And more importantly it made me think in French which I think is the most important piece of the learning puzzle I was missing. The other courses encouraged me to access my memory in order to converse in French, while the Michel Thomas method wants you to think your way to the answer. With the constant repetitions of principles previously learned to anchor and guide you to more complex principles, you find you are able to retain more and more of the information without needing to write anything down. I am more of a visual learner, so maybe it did help that I had tried other courses which enabled me to remember spelling, but Michel Thomas also spells out words that are not intuitive. Towards the end of the Foundation and Advanced courses, it was harder and harder to simply listen and retain, and I had to review some of the material more than once (a booklet is included, with all the content of the audio). The Vocabulary course was not as helpful somehow- they were not compiled by Michel Thomas himself, but by someone who was trained in his methods, but I often felt the speakers said the answers too fast (they were native speakers) and the material felt a little too repetitive at times. I should also add that the Foundation and Advanced courses use non-native speakers, and people who seem to be at the same level of proficiency as the listener which I think helps you feel more confident in speaking the language. Your accent might suffer, but in all probability, you are not trying to pass yourself off as a native French person. These courses give a fantastic understanding of the language which you will need to continue to work at and develop by reading and expanding your vocabulary. But at the moment, I feel quite confident taking what I have learned to France if I were visiting as a tourist. Derren Brown's television and stage performances have entranced and dumbfounded millions. His baffling illusions and stunning set pieces - such as The Seance, Russian Roulette and The Heist - have set new standards of what's possible, as well as causing more than their fair share of controversy. 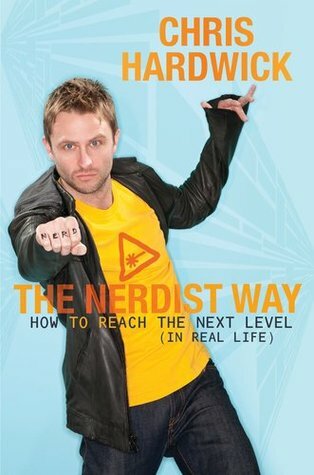 Now, for the first time, he reveals the secrets behind his craft, what makes him tick and just why he grew that beard. Tricks of the Mind takes you on a journey into the structure and pyschology of magic. Derren teaches you how to read clues in people's behaviour and spot liars. He discusses the whys and wherefores of hypnosis and shows how to do it. And he investigates the power of suggestion and how you can massively improve your memory. He also takes a long hard look at the paranormal industry and why some of us feel the need to believe in it in the first place. Alternately hilarious, controversial and challenging, Tricks of the Mind is essential reading for Derren's legions of fans, and pretty bloody irresistible even if you don't like him that much..
Expectations: I'm a huge fan of this man's work on television, and what he does is seemingly impossible sometimes, so I was expecting to get a few answers, especially on how to do certain tricks so I can do them! The Coin in hand trick was one I was especially hoping to pick up. I love that although he always makes sure that everyone knows he does not claim to have paranormal ability, the cover insinuates that he does have some occult connections. Again, I am such a fan, that reading so much about his thoughts and views on religion and humanity - although seemingly out of place in a book that purports to tell us how he does what he does - was fascinating for me, and changed a few long-held opinions of mine. I think it does ultimately relate to getting into how he thinks, and delving into and trying to understand why people hold superstitions and evangelical beliefs is a way to show how easily people can be manipulated which is a major trick of the mind. The actual reveals on card tricks, memory tricks and hypnosis are interesting, but not as thorough as I had hoped. The real trick to these things are hard work and practice and unfortunately no book can give you an easy way to learn them. In the end the memory tricks felt most useful to me, and could have quite astounding effects if one practices. 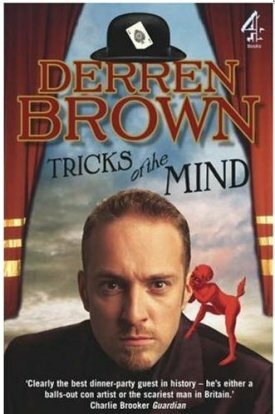 The book felt like an overview for the interested, and that makes sense as Derren Brown is still practicing his craft and he can't give all his secrets away. This was an enormously entertaining read though because of Derren's writing style, and I would recommend everyone to check out his work on youtube and then buy all of his DVDs. It is unfortunate he is not more well known in the States. I thought it would be interesting to add a little something before my review, talking about what I thought the book would be about based on the cover or the synopsis, or other reviews I've read. 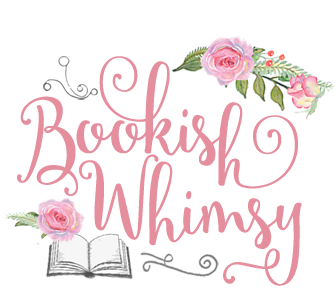 I know that no one ever (or hardly ever) starts to read a book without a few expectations, and if I noted what I was bringing to the book before I even opened it, I could see what is really a fault of mine and not a fault of the book's author. Well. I finally got my emergency survival kit. I feel better for that, but putting thoughts in my head of how easily our comfortable circumstances can change into a harsh fight for survival isn't really what I was bargaining for with this book. 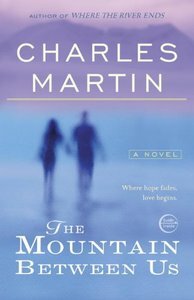 Sappy this story is a bit, but very gritty and realistic (as far as someone who has never gone hiking or camping in the woods can tell). I was interested in the first person narration of Ben - through the device of reading the thoughts he was recording for his wife, and through regular narration, because now that I think of it, I don't really read a lot of books written in the male perspective. Ben Payne, not as emotional a narrator as I am used to, is sometimes clinical in his thoughts and reserved about his past which means he can slowly reveal his past to increase the suspense in the reader. The romance I was expecting was dominated not by Ben and Ashley's relationship, but with Ben's relationship with his wife Rachel. So much so, that I felt more invested in that relationship than in Ashley's. And I felt that Ashley had not changed all that much from her experience. So the ending lacked oomph for me, I couldn't really care that much about them. Having said all that, I think the most interesting part of this book for me was the survival aspect which is fascinating while also being a little depressing (being reminded of my mortality does that). And huge spoiler here so skip this paragraph if you haven't read the novel - I wonder if it is just me that finds the idea that Ben keeps the idea of his wife so alive, that he records conversations to her and has her and his stillborn children entombed in the house he built for her incredibly creepy. After four years? Romantic? Maybe, if you stick "stark raving mad" in front of it. I wonder if Ashley can deal with that. 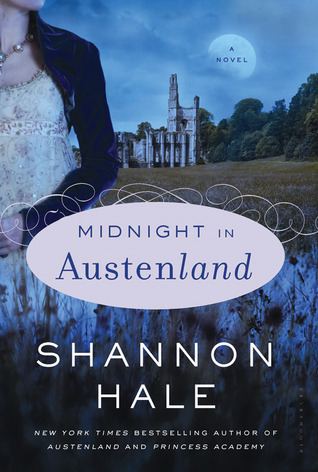 Lastly, I wanted to read this book because I heard they are making a film version with Michael Fassbender in talks for the lead. I DO WANT TO WATCH. In her trademark buoyant and exuberant style, Heyer tells the story of an unconventional romance, which is full of riveting dialogue and loveable, very human characters. 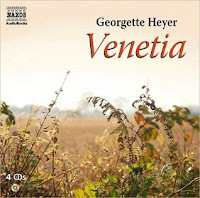 Quick-witted, self-assured, funny and beautiful, "Venetia" is one of Georgette Heyer's most popular heroines. When the dashing Lord Damerel intrudes upon a quiet provincial community in the North of England, news of his scandalous past soon sets tongues wagging. 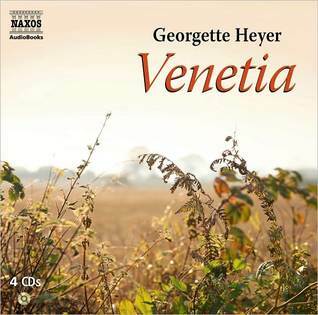 In spite her of sheltered upbringing, though, Venetia is singularly unfazed by the rakish Damerel, and proves to be more than a match for him. This audiobook is abridged, and I don't normally like to read/listen to abridged books (because I don't want to miss things! ), but with Richard Armitage reading, especially this type of novel, this was the best way to experience it. :) I wonder how it was decided a male actor should read the book when it is from a predominantly female point of view, but in this case, I am not complaining! 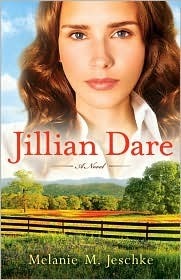 The story was delightful, whimsical and light; a great wish fulfillment read for the romantics at heart. And the banter between Venetia and Lord Damerel is fun to listen to. Venetia's younger brother, Aubrey is also a hoot. Likable and/or interesting characters all around. 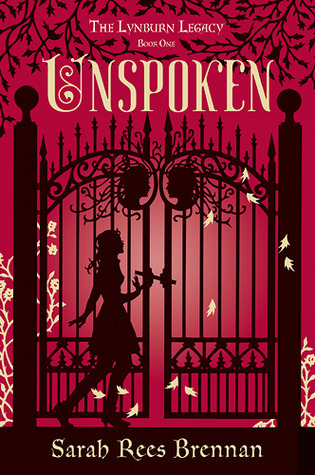 I love audiobooks/books like this, where you can just dip into a fantasy world where nothing terribly bad happens, but the characters you come to care about end up happily.